The BAE 146 has always seemed like an odd aircraft to me. In some ways a trendsetter whilst in other ways anachronistic. After all it was a regional jet decades before regional jets existed (only the F28 was a viable contemporary) whilst its noise profile and STOL performance made it perfect for noise conscious environments and city airports (well before London city was even built let alone certified for jet ops). On the other hand the high wing configuration and short undercarriage didn't lend it much beauty whilst having four engines must have surely hurt its competitiveness even without their unreliability. Still somehow it overcame any issues to sell 387 aircraft (that's combined 146 and Avro RJ sales) making it Britain's most successful jet airliner programme. The type even managed to continue selling into the 90s and operated some of the first true regional jet ops with US commuters like Air Wisconsin, ASA and Mesaba. Today the RJ versions still operate in Europe and Australia in decent numbers though I never quite understood why even the mooted but cancelled Avro RJ-X still had four engines under the wings! Nose and cockpit: Gemini's nose shape and cockpit printing is superb. Jet-X get the nose right but they have the annoying habit of often mucking up the cockpit printing (regularly an issue on their DC-9s too). The windows often appear too large and the central windows seem to slip down the nosecone too far on many releases. Also the Jet-X nosegear seems a tiny but too far forward and their nosegear strut is very simple. Engines & Pylons: The Jet-X fanblades are simple whilst the pylons look like they hang a bit low. 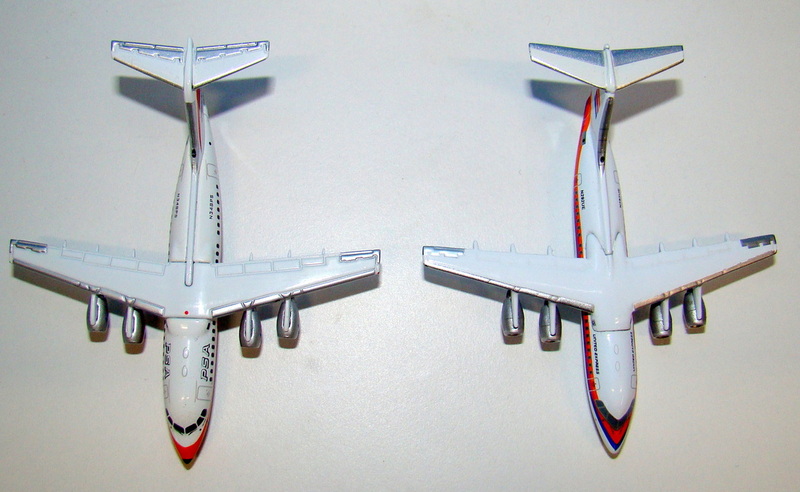 Seams: The Jet-X has the better tail seam but its wing seam joins are much more obvious than the Gemini. 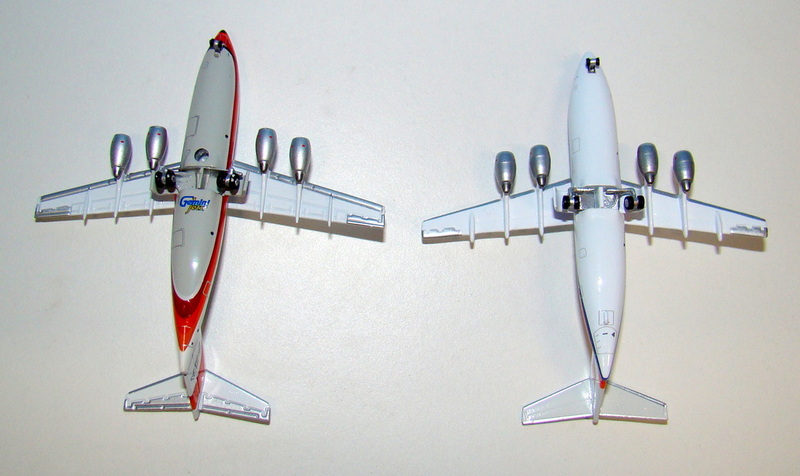 Still I am quite happy with all the Jet-X birds in my collection (and will probably pickup an Ansett NZ example in the future) and if you need a short or long 146 you have to go Jet-X.